September’s theme is cultural change - the internal and external forces that shape our notions of personal identity and belonging - at the places we work, in our social interactions, and how we create our personal culture. 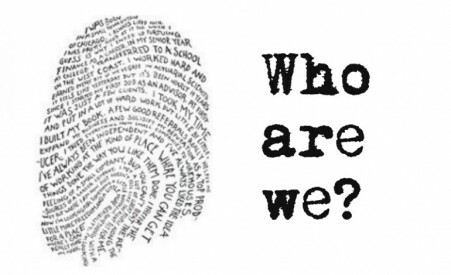 How do you define your identity? What factors contribute to your sense of belonging? How do social labels like nationality, ethnicity, religion or profession factor into your personal culture? Particularly at times of change and transition, it is common to experience identity loss or crisis. Consumed by our roles and responsibilities at home and work, we often forget that we are multitalented, multifaceted and multicultural beings. Instead, we subscribe to the narrow categories of social labelling: employment/marital status; nationality/ethnicity; profession/job title; being a parent or student. Labels are comforting because they give us a sense of belonging. But they also limit our ability to see new possibilities for ourselves and others. Embracing change is about challenging convention, creating opportunities and redefining identity in more holistic terms. 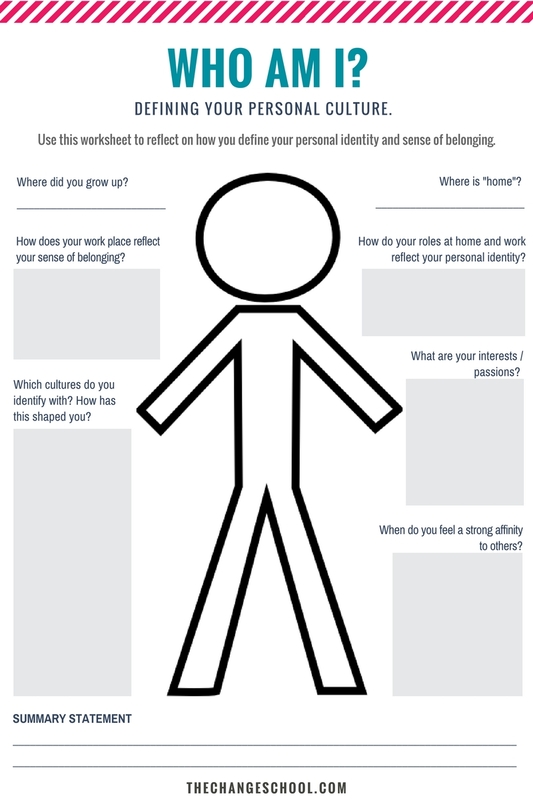 Download our FREE Worksheet to reflect on your personal identity and identify the factors that shape your sense of belonging.